Grooved Flexible DI Couplings are are designed to transmit torque while permitting some radial, axial and angular misalignement. Flexible couplings can accommodate angular misalignement up to a few degrees and some parallel misalignement. 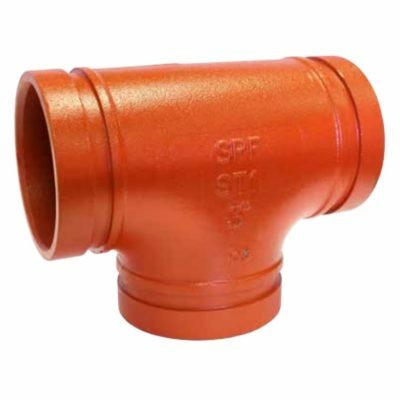 Couplings are available in red and galvanized. 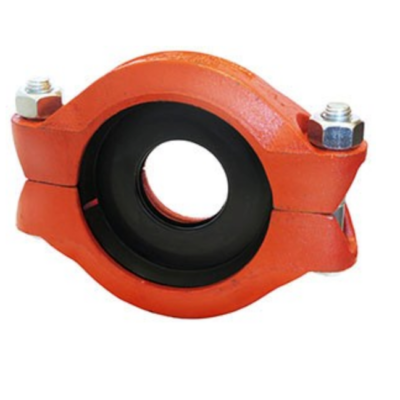 Reducing Coupling makes it possible to directly connect two different pipe sizes, eliminating the need for two couplings and a reducing fitting. Grooved Rigid DI Couplings are the standard rigid couplings used in general piping applications where rigidity is required. Rigidity is obtained through puzzle pad closing and grip teeth in the housing that attach to the pipe. 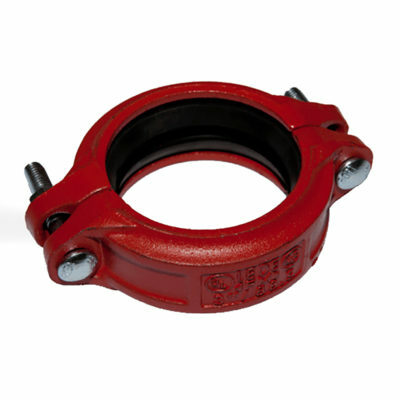 Couplings are available in red and galvanized.